From 2004 until 2008, we made some very nice stuff happen. Oh yes, we did. 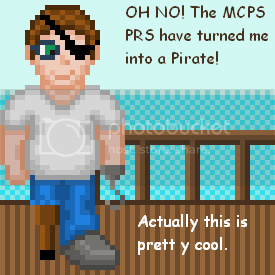 Now, we construct alternative realities in a symbiotic membrane called Derek. We've been hot on the heels of some evil spam hackers across all our Wordpress sites recently. Some of them were not compromised, only a couple were and no users passwords were stolen. Now we've upgraded to 2.5.1 we should be ok for while. We're backing Rise and Shine, the online breakfast show which broadcasts live weekdays 7am to 10am, Monday to Friday, and raises money for BuskAid. Seesmic, the "video conversation" website is supporting the project. We're pleased to launch Headcast John's first premium video download - it's a serious, searching look at the nature of perception and belief and the ways in which reality is shaped by powerful men to suit their own agenda. Our new podcasting company, Talking Voices has been growing steadily during 2007, but that doesn't mean we've deserted our established clients. We're very happy with this episode of John Cleese's podcast - Happy Solstice everyone! We at Funk Mansion are rather excited by the news which broke last weekend about our work with Mr Cleese. British actor, writer and comedian John Cleese is to release Headcast, a series of online videos, which he describes as "some humorous, some more thoughtful, giving me a chance to sound off in my old age." A free version will be made available over the next few months on The Podcast Network, which John says is "rather good, run by Australians, and none the worse for that." A premium version of the Headcast will also be made available. Nice to see the "establishment" take an interest in this burgeoning but still marginal area of culture we are busy creating. On the 60th anniversary of the birth of the modern states of India and Pakistan, we checked to see where Funk was in the internet scheme of things. Currently we rank second and third, after the Wikipedia un-definition, and above Craig "Cabby" Charles - not bad for a tiny multi-media company. 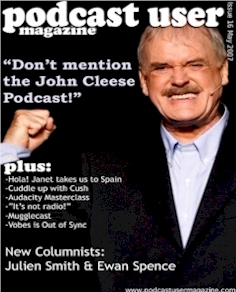 Nice piece in this month's Podcast User Magazine about our work with John Cleese. We're now averaging over 85,000 downloads a month for the first three months of 2007. Completed a lovely portfolio site for photographer Virginia Grey. Happy to be working on Podcast Nation promotional audio. Particularly fond of this by John Cleese and this by UK podcaster and outdoors entrepreneur Bob Cartwright. Click the image to fully appreciate the iTunes big-up. We've now set up the Funk Publishing website to show our own authored stuff in one convenient place. The blog can turn into a podcast at the touch of a button, and the new feed aggregator has replaced Old Greg, who now retires with a gold watch and a warm, fuzzy feeling. Click the picture above for the larger-scale version of Funk virtual architect Egg Desoto reclining in the new office and meeting rooms suite he has just finished designing and constructing for online marketing agency Cheeze. The design stems from the Cheeze corporate image and colours, and aside from the usual office furniture it contains an indoor fishpond, a movie screen, an ambient music generator, a copy of Podcast User Magazine, a laptop you can use to email Cheeze, or to log in to Third Life... Nice piece of design, Egg! Cheeze join Crayon and a number of well-known Earth brands such as IBM, Toyota, General Motors, Starwood Hotels, Wells Fargo, Reuters and the BBC in this growing part of the new digital economy. Email Egg with your comments and commissions. 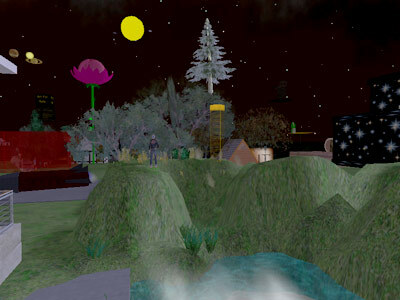 We are building in Second Life, making a beach-front office. 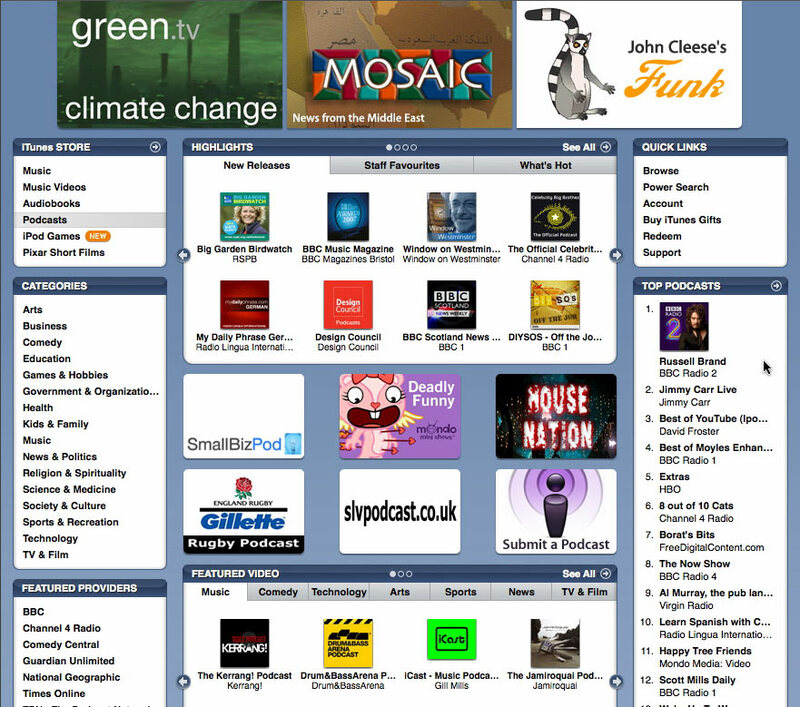 Funk have developed their podcast business - from January 1st 2007, we are at Talking Voices. Produced the first FeedBurner video podcast - great to get the opportunity. Everybody and their mate is opening up a virtual office. We've already got one of those, so we thought we'd open up a peace garden instead. 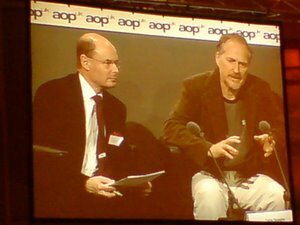 This image of Tim O'Reilly was blogged from the conference floor. We are now over 20,000 per month total downloads of our various podcasts. The long tail means every new podcast edition pulls in new subscribers who go back and find all the early episodes. Collaborative projects are responsible for adding an extra 15% listeners and viewers in the past three months. We're hitting 10,000 plus downloads a month now. Chris Williams wrote this nice piece in The Register about our activities with the UKPA. The UK Podcasting scene is a funny place to be sometimes. Funk are helping to set up a meeting with the UK Podcasters Association and the MCPS-PRS, which should be an interesting meeting. Just set up the (very simple) website for this excellent new UK organisation. New Media Age wrote nice article about us, and Hugh Fraser interviewed myself and Neil Dixon for ID3 Mag. Funk have helped to found a non-profit organisation, UK Podcasters Association, to represent the interests and protect the rights of British Podcasters. More soon. The Google Toolbar PageRank measures PageRank from 0 to 10. Many people assume that the Toolbar PageRank is a proxy value determined through a logarithmic scale. Google has not disclosed the precise method for determining a Toolbar PageRank value. Google representatives, such as engineer Matt Cutts, have publicly indicated that the Toolbar PageRank is republished about once every 3 months, indicating that the Toolbar PageRank values are generally unreliable measurements of actual PageRank value for most periods of the year." Funk.co.uk and Cinema-Du-Lyon.com are both currently page ranked a respectable 4. Today we introduce Greg, our new member of staff. Greg is a very nice feed aggregator where you can see all the work we do writing blogs and making podcasts in one place. Here is the new Funk video showreel. Podcast Nation is underway - Funk's contribution to the burgeoning phenomenon of citizen-driven media, with a focus on UK-originated content. Plan is to erect a searchable directory like this one. We are enjoying some success with the John Cleese podcasts. Please enjoy these scattered jewels of viral fun which we found littering our hard drives. New Funk website is up. It's green, like pounds used to be. John Cleese is about to tour New Zealand and Funk are producing a series of podcasts. We also have a lemur on board. We are starting to install art in the gardens. Looking forward to the weekend of July 30th/31st when things should be cooking. As we say in the kitchen. 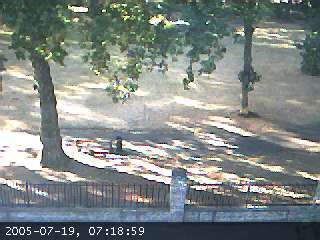 Running a webcam for an art project in our local park. It's running on YAWCAM which is a little stuttery but seems to work OK once you're set up. Good for a freebie. Funk are designing/producing a month of art, music and performance in St Mary Magdalene Gardens, Islington, London. It's our local park, so we are really pleased with the commission. Like trout on a bed of twiglets, drizzled over with warm maple syrup. A new blog celebrating all things listable. Five Podcast 8: Deek Deekster discusses nuts, politicians, politics and podcasting with International Bicycle Thief and rounds up coverage of UK election 2005 from Funk. Dave Bones talks about Blair, Galloway, Ken Livingstone, and the future of Independent Media. Jack "The Hat" Gardener, candidate for Islington South and Finsbury. Five. The second in the series featuring redeye and the CJ massive. Recorded a public meeting with Robin Cook, Jeremy Corbyn and Emily Thornberry yesterday - no national media present, but Five was there, and got the lot. Pleased to see that the Cinema Du Lyon Podcast has been grabbed no less than 85 times since it's inception 10 days ago. Yes, it really is looking like a proper website now. Audio, video, graphics, external links, information, outformation, you name it. 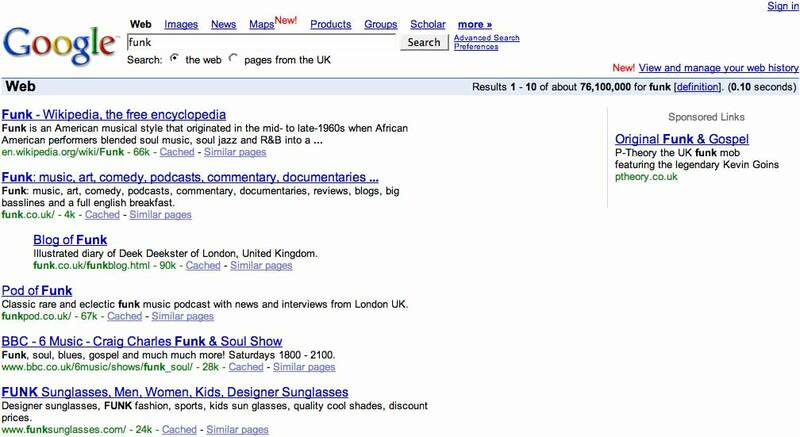 What I really like is that if you type "funk nice stuff" into Google, we come top. Blogtastic! The audio section now has MP3 downloads, and the Art section has the Coca-Cola Nazi challenge images. 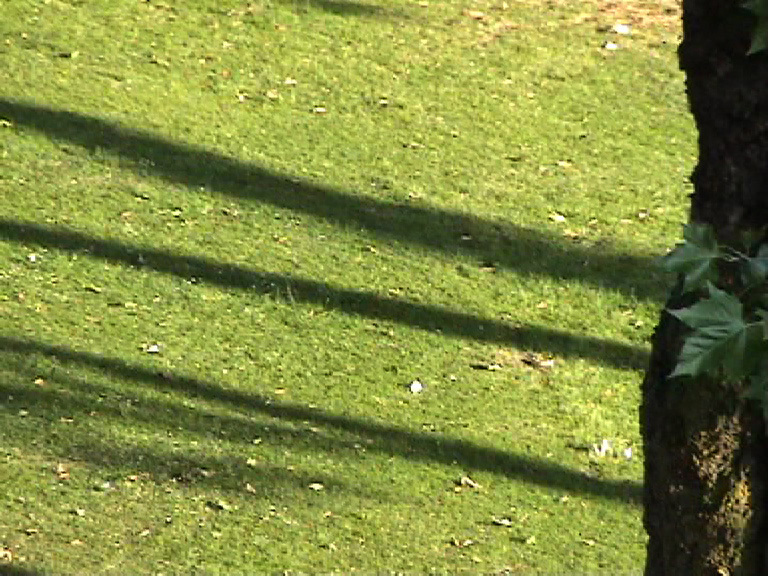 We are in the final edit of the Superringtone.co.uk video.